In the heart of New York's Theatre District, Sardi's has been the toast of Broadway since 1921. Featuring continental cuisine, we are open Tuesday through Sunday. I ordered my burger well done and it came out rare. The waiter took it back and I waited over 20 minutes for the burger to come back to the table. When I received it, it was still rare. It was pretty apparent that the waiter brought it back and the kitchen either forgot about it or did not want to recook it. All they did was slap some new cheese on it and send it back out. The waiter delivered the burger to the table and left and never came back to see if it was cooked better. After we sat there waiting for his return we flagged down another waiter and he got our waiter to come to the table. By this time I wanted nothing but get out of this restaurant. Obviously ruined our night. We had driven into the city from New Hampshire to take in a show and made this reservation months in advance. WHAT A HUGE DISAPPOINTMENT. There are way to many restaurants in NYC to have this type of experience. Not worth it for a couple of pictures on the wall. Waiter was a “ career” waiter, probably waiting tables at Sardi’s for many, many years. We were never rushed. We started with the prosciutto and melon and crab cake appetizers. Then the Sardi’s Cobb Salad and the chicken club for our main course. Both were delicious. Finished our meal with cappuccinos. Then across the street to the play. Fast service before a show. Very tuned in to folks that needed to get to an 8 pm show. So convenient before a Broadway show! Food is so- so by NYC standards. It's main goal is to get tourists out before the Broadway show starts. In that regard they are very efficient. A great place for pre-theatre dining. Prompt service that does not rush you like some other popular restaurants in the area. Both the service and food are exceptional. The perfect pre-show restaurant. The ambiance is wonderful and fun to determine all the caricatures. Our meals were all delicious and the service superb. Looking forward to our next visit. This place is awful. I’m usually not this hard on a place, but the food took forever and was not worth the wait. Make reservations somewhere else. It was great to find a table so close to our theater right before the show. We ordered scallops, cannelloni, risotto, creme brulee, and the cookie/biscotti tray and loved it all. The atmosphere is a bit dated and loud but perfect for a New York experience. The only reason this is not a 5 star is that we noted in the reservation that this was our 37th anniversary date, we mentioned it to the server and nothing special was done for us. Still we would recommend to all. Seating is abundant and one might dine hereon short notice since Carmine's was so tightly booked just down the street. Great food and attention to service. We felt special for a longtime established landmark! An Oldie but Goodie! Hasn't been to Sardi's in a long while. Was pleased to find food and service all still top notch! Was the first reservation of the day so we had a nice quiet experience! Staff was attentive and pleasant. Eggs Benedict were out of this world. French toast was ok....it was missing something. But overall great! We come to sardis often and will be back! Wonderful, as always! The staff never fails to produce a perfect meal. 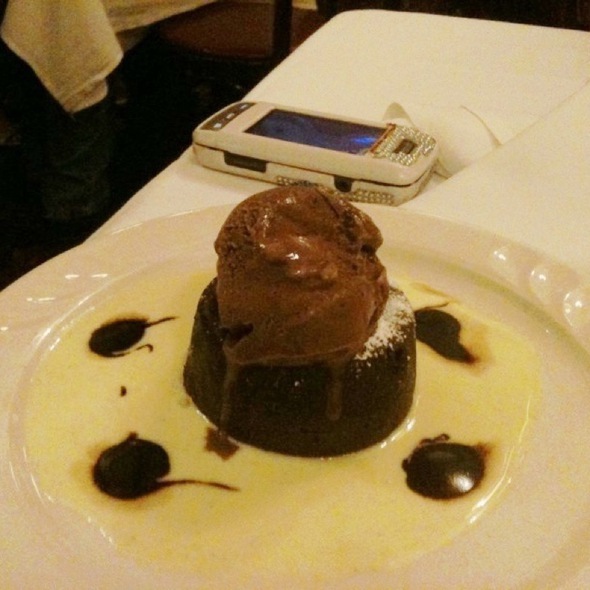 The tradition of post theatre dining at Sardi's is something that needs to continue. In addition to the tasty food and excellent service you often get to share theatre reviews with other patrons. It's a wonderful way to end an evening. Celebrating a birthday followed by a show. Party of 4. Seated immediately. Service is always very good there. Not rushed but they check if you’re going to a show. Food is very good but not quite 5 star. All the celebrity caricatures are part of the Sardi experience. A fun place. Service by our waiter was exceptional. Ground floor maître d' pleasant, second floor busy checking his phone while we waited for him to be done. Better choices in the city. Wonderful ambiance, good hamburger and salmon, service needs a little polish. The food is poor, the chicken was tough with a bland sauce and the lasagna was overly sweet. All of this was way overpriced but I guess most people go for the Sardi’s experience. If you really want to enjoy the food go somewhere else. Heading to Broadway at nearby theater. Curtain opening at 1 pm not usual 2 pm. Server inquired about time and show. We asked for the lunch price fixe menu. Accommodating when told of a food allergy. Service was beyond excellent. Food top flight as usual from breads to appetizers, entrees, desert and beverages. We enjoyed the meal, did not feel rushed and made to theater by 12:45pm. First time to lunch at Sardi's. Their prix fixe lunch is excellent food wise and price wise. My husband loves the meatballs and the rice pudding is the richest to be found anywhere. Beat pre theater restaurant. Great history, food, service, ambiance. Go! Chairs uncomfortable but otherwise a good experience. food was good had scallops nicely done. granddaughter had club sandwich very dry. Wonderful pre theater drink and hits d’oeuvre ! Had not been in 50 years. Great as always. Precious waiters. Food wasn’t great. Meatballs were good. Crab cakes were all cake, no crab. Steak was tender, but had no flavor. Pork chops were okay. Spinach canelloni was good. 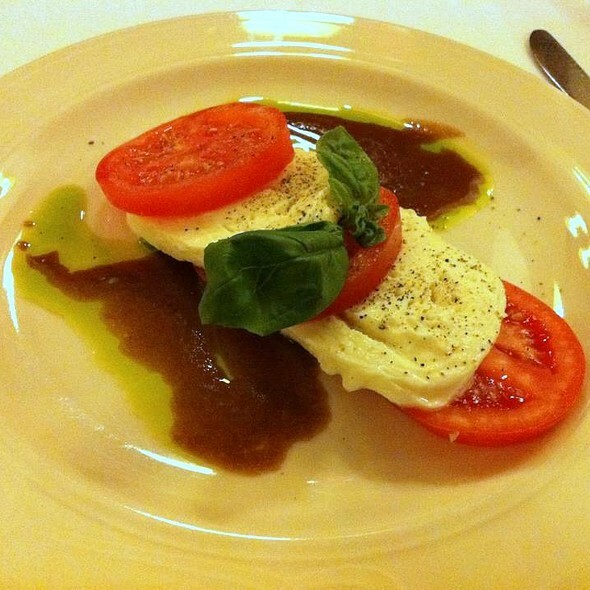 Tomato mozzarella salad was the worst I’d ever had. Tomatoes were mealy and there was not enough blasamic to go around. Desert we had was a creme brulee and it was inexplicably served warm. Very disappointed. Bill was $300 without tip for 7 people, so not terrible, but not for the food we got. Service was pretty attentive, but there was some inconinuity with plate delivery which you don’t expect to see when the meals are $50+ a head. Nice place near the theaters on Broadway. Great preshow meal. Mediocre, old-fashioned food in a onetime legendary setting, now dreary. The upstairs bar still has an energetic vibe. We go to NYC every couple of years, and we always include some Broadway shows during our trip. Going to Sardi's before a show is part of the fun. 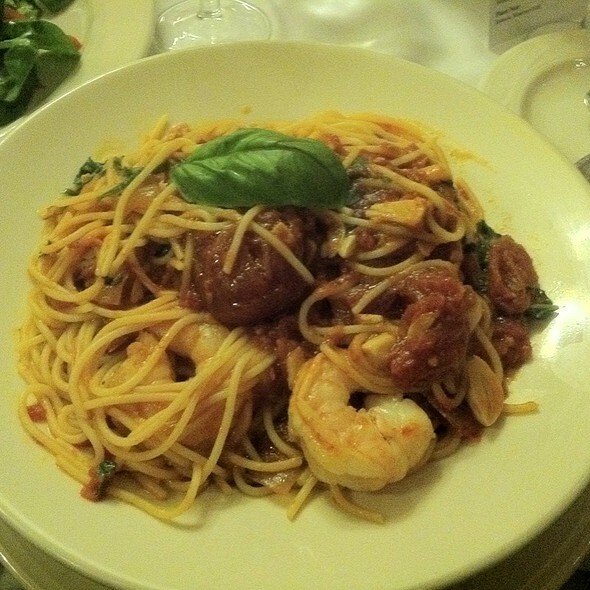 Classic NYC restaurant, with great ambiance, great service and the food is good. I would not go here for the food. It was convenient to the theater we were going to and had an open reservation. It is nothing special. The waitress was not very friendly. She checked back after we received our food. If your looking for a younger crowd this is also not the place. I ordered the chicken Scallopini which I did not finish. The chicken was rubbery is the only way to describe it. The pasta looked good judging from the other tables. I would not go back. Nice place, so-so service. Good food, very pricey. The table I had felt a stiff breeze everytime the door opened. Had a lovely lunch before the theatre. The service and food was spot on. Would definitely return! 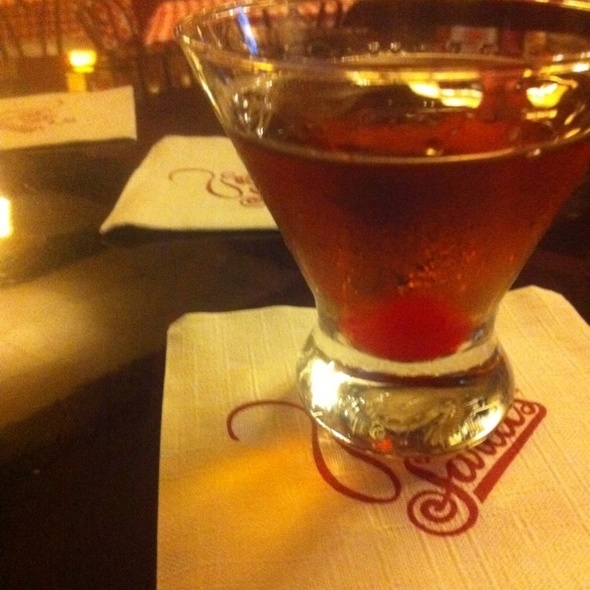 It seems everyone should go once to Sardi's for drinks and dinner before a play. But I'm not sure anyone really needs to go twice. The service is friendly and efficient. 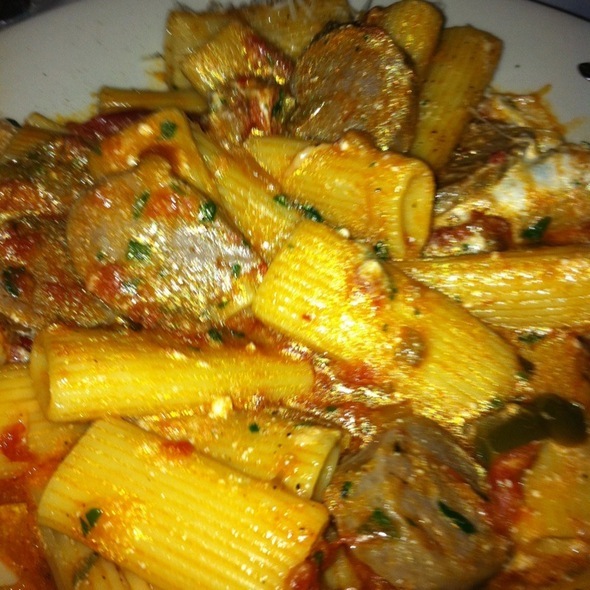 The food is good, but ordinary and fast, no leisurely dining pace. The place is so overstuffed with tables and full of people you can hardly walk around to enjoy the best feature, all those fabulous celebrity caricatures. Good food, very good service and interesting ambiance. Great place to have a pre theatre meal at a reasonable cost. Sardi’s never disappoints! I love it there! 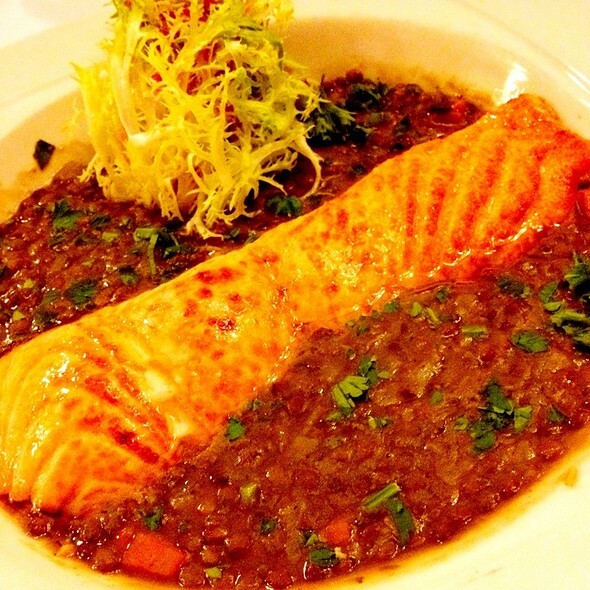 We dine at Sardi’s about 7 times per year. Would come back again and recommend others to have the same experience.